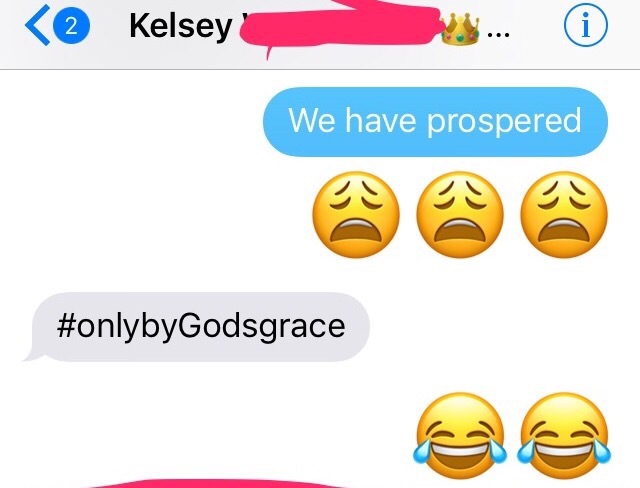 My friend and I often have conversations like this. 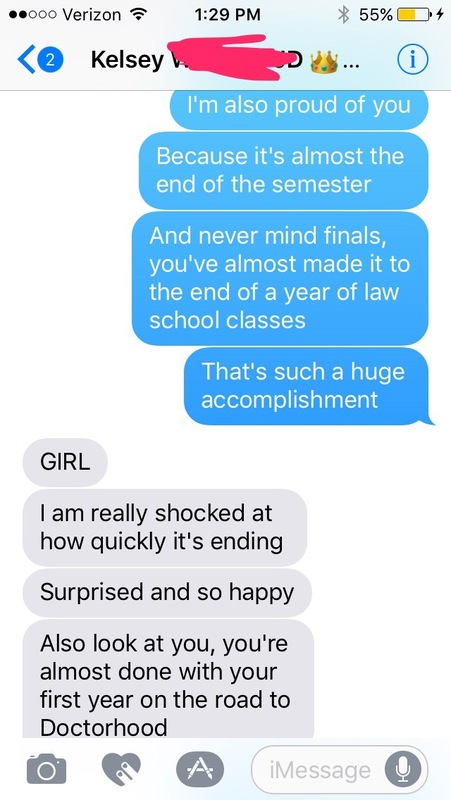 She’s a 1L at UVa and I’m finishing my first year in a MA/PhD program at William and Mary. We’re both extremely strong willed Black women who were up against the (sometimes/occasional/often/always) hostile atmosphere of our respective PWIs. And, against all odds, we find ourselves staring the end of the semester in the face– a sign that, in spite of everything, we have done the unthinkable: we have prospered. Her: How have you been? Me: Drowning in work. Trying to stay afloat. You? I honestly don’t know if I would’ve made it as far as I had if I didn’t have a close personal Black female friend to regularly commiserate with– someone who was going through a similar ordeal, working against a comparable learning curve and who could match my sordid tales of microaggressions with depressing ones of her own. As nice as that rapport is, this is also the friend who I can send bulletjournaling buzzfeed articles to at 7 AM; the friend who sends me instagram screenshots; and who understands that sometimes I just have to buy an obscene amount of art supplies and I, of course, never judge her for her mug habit. I think our friendship is so important because it’s proof that Black female relationships do not have to be competitive. I honestly usually want to smack people who tell me Black female friendships are trouble and that successful Black women are competitive, because it implies, that for some reason, Black female friendships are flawed– that the women who make them up are flawed. If we are, it’s for normal human reasons. Our friendship isn’t perfect, but the few pitfalls have nothing to do with us being jealous, hostile, competitive Black women. Our Black womanhood does not make our friendship flawed. Our friendship reminds me that nobody but another Black woman is going to understand the facade of perfection and “together-ness” I enact on daily basis, who is going to understand the depth of my struggles, and with whom I would feel comfortable sharing those issues. It’s because of this that I try my best to be there for the Black women that come to rely on me, especially those who are coming after me. It’s the desire to be there for a young Black girl in the same way Black women have come through for me that forced me out of my comfy bed on Friday and found me at a meeting in which my Black female undergraduate friend tried to organize a Black run literary publication, even though she is a graduating senior and has literally two weeks left to care. She is a Black woman I admire. She does things not for accolades, but because she sees a societal need— and as there is often no one else in site– does her best to be the change she wants to see. I’m so happy I went, not only because I want to help the students get this started if I can, but because I could tell it meant something to her that I came to support her. By showing my face, I became another life line for many of the other Black undergraduate girls, one they may not ever use, but one, nonetheless. One is more than none. That’s truly all I can do. I can be present where I am, be more help than was available before. Plus, I love a good opportunity to hear what’s important to the undergraduates. Getting a pulse of their lifeblood helps me see where I can help. Just by going, I was able to talk with a young Black female student, just starting to think about her place as a Black student at a PWI; I was able to support a friend; and though I couldn’t do anything immediately, I became an active listener to someone who was been working through a crisis concerning LGBTQ+ students and Greek life here. I had such deep admiration for this student who was braver than I could ever be– choosing to run headfirst into a hostile environment, knowing they may not be able to change it, but they could make a start. These students give me hope. They give me a purpose. They help me think, not in terms of survival, but betterment and empowerment. It’s not all about finish lines, but rather check points in a marathon. As I face the next two weeks, I’m trying to adjust my mentality. I’m trying not to see April 30th as a finish line, but a check point. I got through another leg, and then I’ll rest. But the race isn’t over. I’ll rest; then I’ll have to find the strength to run some more.